But if you look after your mattress you can extend its lifespan. Recommendations are that you should replace your mattress every 10 years. There are good reasons for this; hygiene is one and if you do the maths, with a average of 8 hours spent sleeping every night, your 10 year old mattress has been continuously slept in for 3.3 years. Also as we age and grow our bodies may change and the mattress that was right for you then may not be right for you now. Make sure your new mattress and base are properly installed in your home. Improper installation can damage your new mattress. If you choose to transport and install yourself, ask the store personnel to give you some tips to help you avoid problems. 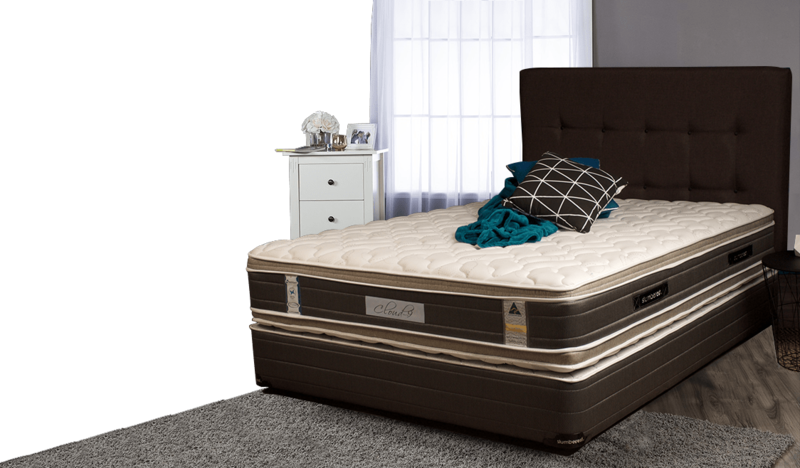 It pays to periodically rotate your mattress every 3-6 months from end-to-end and from top-tobottom. it hangs over about 30cm. A good quality, washable mattress protector is a must to keep your mattress fresh and free from stains, especially for those younger children. If you detect a slight “new product” odor, leave the mattress and base uncovered and well ventilated for a few hours. A breath of fresh air should do the trick! The chemicals in dry cleaning agents/spot removers may be harmful to the fabric or underlying materials and could be harmful to you too. Vacuuming is the only recommended cleaning method for your Slumberest mattress. But if you’re determined to tackle a stain, use mild soap with cold water and apply lightly. Never soak a mattress or base. Information on the label will serve as a means of identification should you have a warranty claim. Never let children jump on your Slumberest mattress. They could do damage to the interior construction of your bed, and potentially themselves! Never put a board between the mattress and the bed base. It may enhance the sense of support for a while, but it will only make the problem worse over time. When any bed has reached the “board stage,” get rid of it. Now that you’ve treated yourself to a new Slumberest mattress, arrange to have your old bed disposed of. Don’t give it to the kids, relatives, guests or neighbors. If it wasn’t good enough for you, it isn’t good enough for them. Throw it out!